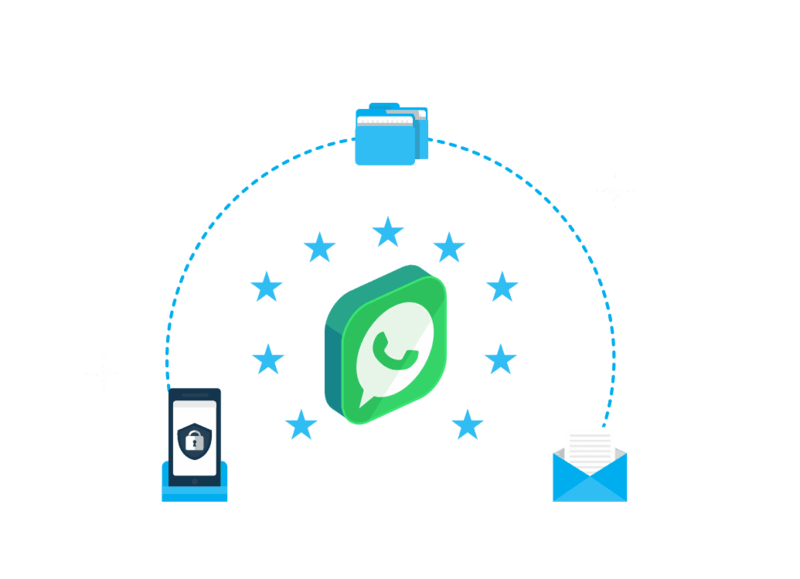 Gain early enterprise access to the WhatsApp Business solution with Wigzo as your verified WhatsApp Business service provider. Reach your customers where they already are with urgent updates such as travel itinerary changes, system outages, location-targeted alerts and more. Share information regarding orders, deliveries, appointment reminders, payment processing and more on a platform your customers check multiple times per day. Allow customers to initiate in-depth conversations with rich media capacity so your support agents can improve troubleshooting and shorten ticket lifespans. Wigzo connects enterprises of all sizes to WhatsApp’s Business solutions, making business-to-customer communications feel as natural as communicating with family and friends. Create a certified Business Profile with your company details. 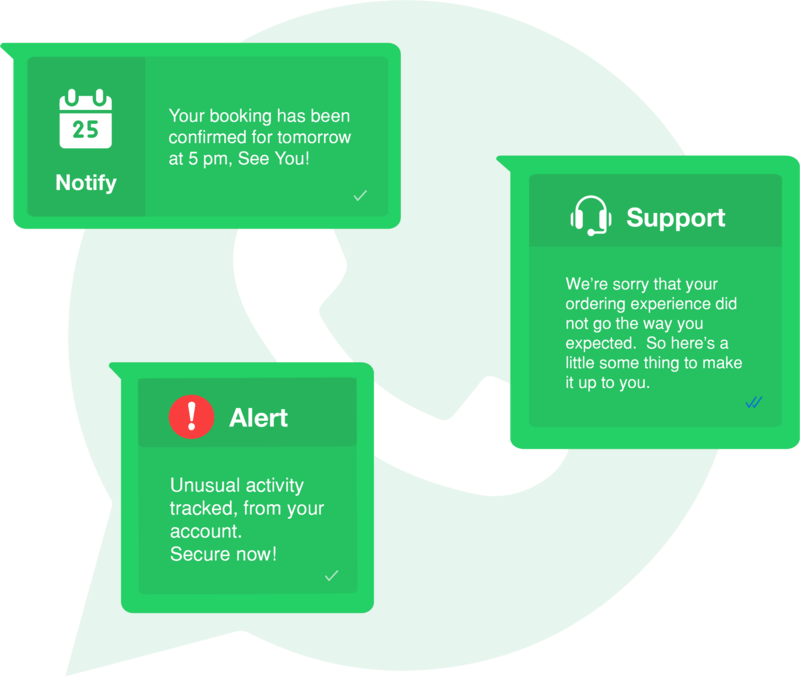 Once customers have opted in to receive your messages, you’re ready to start chatting. Take advantage of WhatsApp’s rich media capacity. Share geolocations, images, and audio recordings and receive videos to gain context and provide support to customers. With Wigzo, set up SMS fallback for urgent messages to ensure your content gets delivered regardless of internet access. Enterprises aiming to drive omnichannel engagement with the WhatsApp Business solution could be taken aback with the additional operational overhead. This is where wigzo comes in: we take away the complexity of running your own network integration with a simple, reliable, and scalable REST API. And yes, it complies with GDPR, too. Want to learn more about WhatsApp’s Business solution? Reach out to our sales team! Don’t stress your visitors. Engage them with a personalized messages! AboutBook A DemoTrusted PartnersContactWe're hiring!